Hot Rize played what some have called “neotraditional” bluegrass, a sort of traditional, but not too traditional, reaction to the more progressive stylings of the hippie bluegrass of the likes of New Grass Revival. That, as Hot Rize’s anniversary tour last year reminded us, was 40 years ago. 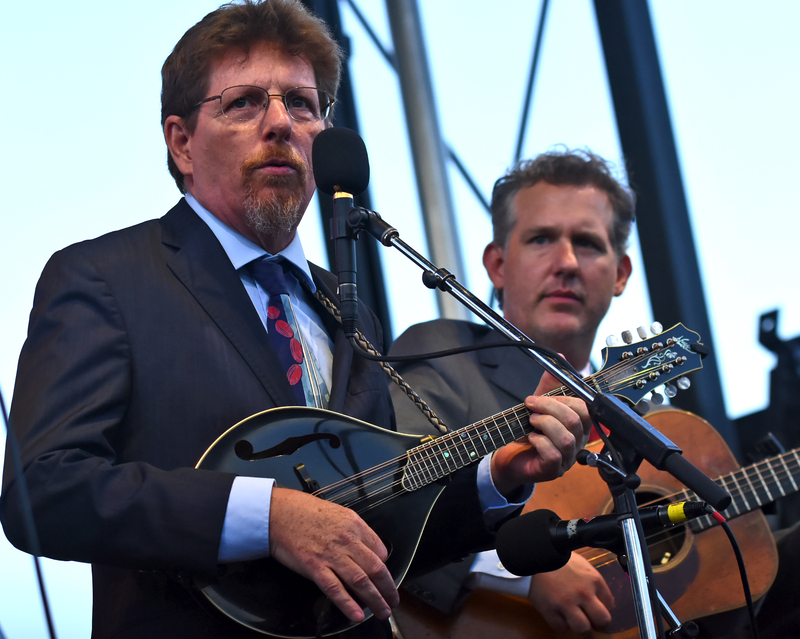 In that span, O’Brien has gone from being one of the hot young newcomers to one of bluegrass music’s established stalwarts. Now, after 36 albums, including two Grammy winners, and a handful of IBMA awards, including two for Male Vocalist of the Year and two for Song of the Year, O’Brien is back with a new album that will only enhance his stature as one of modern bluegrass’ greats. “Tim O’Brien Band,” his first album with his current band, is a 13-song tour-de-force that seems bound to garner O’Brien even more honors. It might just be his finest effort since Red on Blonde, his iconic 1996 bluegrass tribute to Bob Dylan’s music. O’Brien draws from a variety of influences on this one. Two songs are his own compositions, including “Crooked Road,” the number that closes out the album and at the same time points to more good music to come. “I walk a crooked road and it leads me to tomorrow,” O’Brien sings, almost as if to remind us of the many twists his musical journey has taken. “I take the things I need, I leave the rest behind me. I use my heart to guide me as I walk this crooked road” almost seems as if he is telling us that journey has led him back home to his bluegrass roots. “Crooked Road” is one of two songs O’Brien has recorded before. A sparser, guitar and vocal only, version appeared on his 2007 solo album “Chameleon.” That version was good. This take, driven by Patrick Sauber’s banjo and featuring O’Brien’s longtime partner Jan Fabricius on harmony vocals and Shad Cobb’s fiddle fills, is even better. The same can be said for “Drunkard’s Walk,” a J.D. Hutchison composition that O’Brien released as a digital single in 2016 as part of his Short Order Sessions series. On that recording, it was a bare, almost gospel arrangement with O’Brien accompanying himself on the mandola. Here it has a lot more bounce with the backing of the full band, including O’Brien playing both guitar and mandolin, and Fabricius’ harmony. Fabricius figures prominently throughout the album, contributing backing vocals and also playing mandolin on a pair of songs, “My Love Lies in the Ground” (written by Dirk Powell) and “Amazing Love,” which O’Brien co-wrote with Dan Auerbach of The Black Keys. She also sings lead on “The Other Woman,” a jaunty story about a woman who was there when she was needed. Also breaking the Bill Monroe bluegrass mold is the medley of a pair of traditional Irish songs, Hop Down Reel and Johnny Doherty’s Reel, which is highlighted by the twin fiddling of O’Brien and Cobb. One of the things that makes this album stand out is the band O’Brien has put together. Cobb and Sauber are veteran Nashville studio stalwarts. 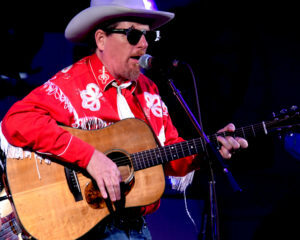 Cobb has appeared on albums from the likes of Willie Nelson, John Prine, Ray Stevens and bluegrass standouts like Becky Buller, The Osborne Brothers, and guitar prodigy Billy Strings. Sauber’s credits include albums with Peter Rowan and John Fogerty. Five-time IBMA award winner Mike Bub, who spent 13 years in Del McCoury’s band, holds down the bass. Sauber and Cobb shine throughout, especially on O’Brien’s interesting take Norman Blake’s “Last Train to Poor Valley,” which starts off with O’Brien’s guitar before giving away to Sauber picking a melodic banjo underneath Cobb’s haunting fiddle. Blake is not the only legend O’Brien covers on this album. On “Pastures of Plenty,” O’Brien picks up the pace to give Woody Guthrie’s tale of the migrant refugees of the American Dustbowl of the 1940s an update that is a poignant reminder of the plight of the immigrants who make up much of the U.S. migrant farm workers today. O’Brien also updates “Diggin’ My Potatoes,” a 1930s era Delta Blues song credited to “Memphis Millie” Lawler and “Doney Gal,” a traditional cowboy song from the same era. Both songs adapt well to O’Brien’s bluegrass treatment and feel right at home. While this is the first album by this band, hence the self-titled name, it sounds as if O’Brien has plans to keep the gang together for a while. “This crew has the potential to make 10 more records together and never reach the limit of the possibilities,” he says. That remains to be seen. But if this first LP together is any indication, it will be awfully enjoyable to watch them try. 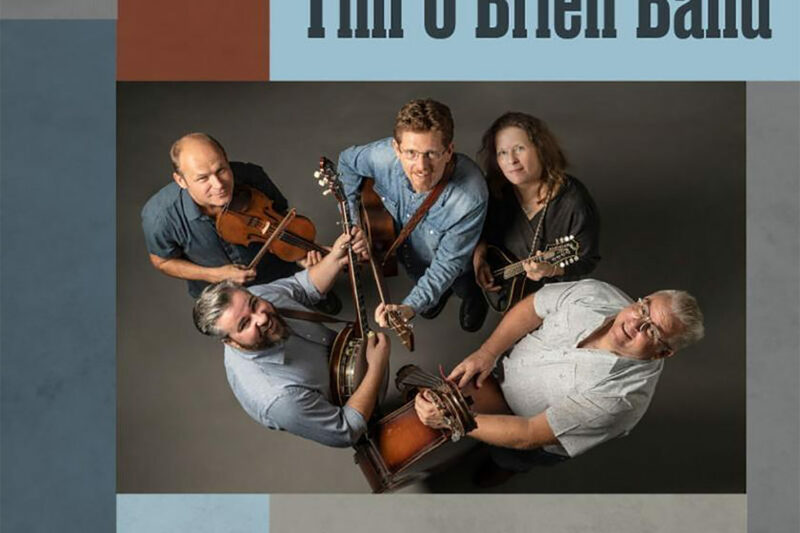 “Tim O’Brien Band” can be ordered on O’Brien’s web site (timobrien.net) and will is available to purchase or download on most major music sites.